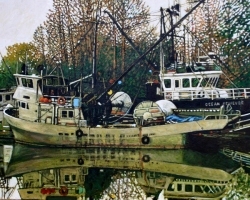 The artist makes his home in Vancouver BC where he creates marine paintings in oils. 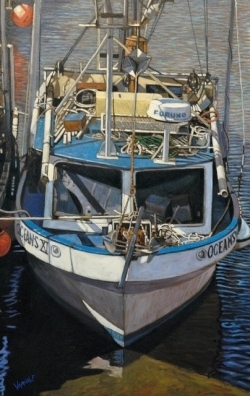 He studied in London, England at the St. Martin's School of Art between 1953 and 1957 and graduated with a National Diploma of Design in Painting. 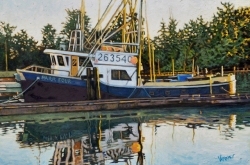 In 1957 Dan emigrated to Canada settling in British Columbia. 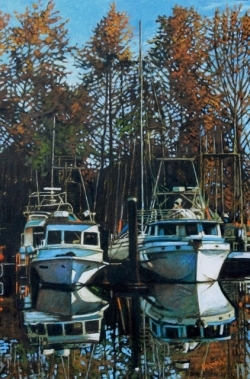 He taught painting and drawing for adult education programs while doing a variety of jobs. 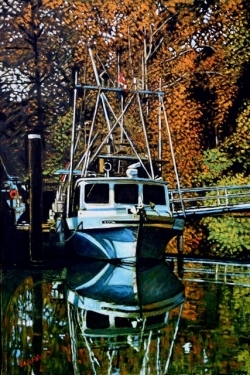 In 1976 after completing his Bachelors Degree in Education at UBC, Dan was employed by the School Board to teach art at the senior high school level in the Richmond district. 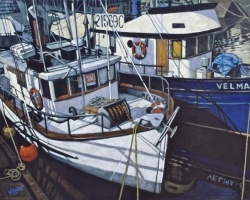 In 1987 he received his Masters Degree in Education After retirement in 1997 he continued to teach in the adult education department - painting and ceramics. In 2000 he started selling his paintings. From 2000 with the Phoenix Gallery then on to the Lion's Bay Gallery. More galleries in British Columbia and Alberta were added to those who handled his work - Alicat, White Rock, Webster, Harrison and Steffich. In 2016 Dan became an active member of the Federation of Canadian Artist and a signature member in 2018.